Masak is a relativity new eatery in my home town of Leyton, East London which serves up a concise menu of Malaysian cuisine. The venue is small, warm and has more of a cafe vibe than a restaurant. 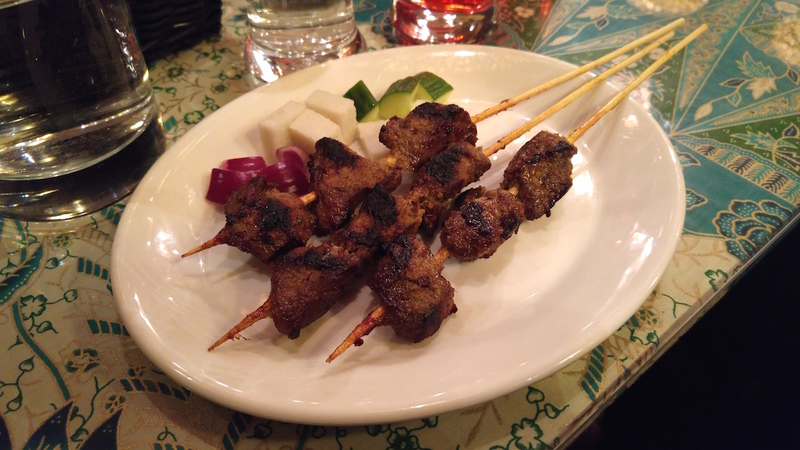 The menu is very simple and focuses on a core section of famous and staple dishes from Malaysian cuisine, of which I am a massive fan of and have been to Malaysia several times in the last 5 years. I dined here with my parents and brother so 4 of us in total. We visited on a Sunday night at the restaurant was empty, not a soul insight, which was not a good sign, but lucky it was not a bad omen. As mentioned, the menu is not complex and has a small but well thought choice of dishes to chose from. 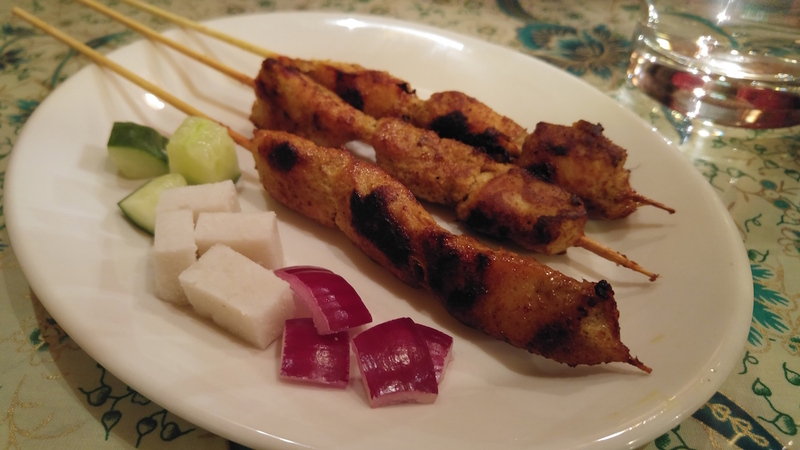 I found the both satay sticks a little underwhelming, the pieces of chicken were lacking flavour and were on the dry side. I prefer the use of thigh than what they used here chicken breast, as its naturally better tasting meat and has more moisture to it. So not the best start. Roti canai £4.99, Beef Rendang £7.99, Nasi Goreng £5.99 and Beef Kari £5.99. This is where things pick up. The mains were all very good. 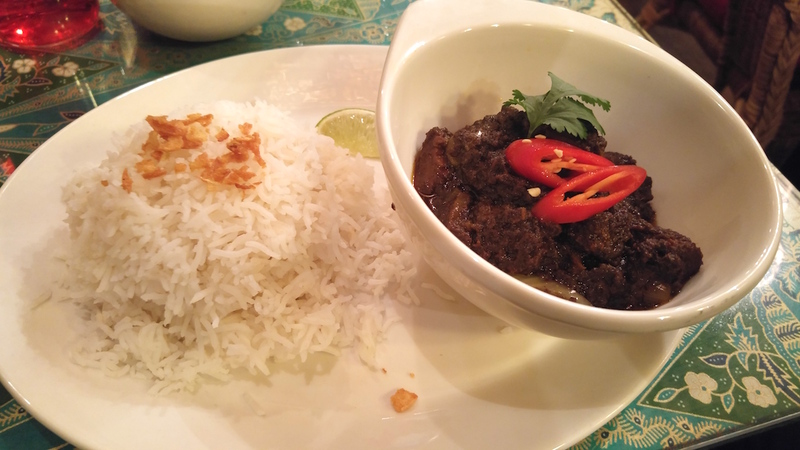 The beef rendang add a great balance of dryness with the perfect amount of moisture to it. The texture was authentic to what i expect slow cooked meat to be like. It was packed full of flavour was is definitely one of the best beef rendang dishes I have tasted in a long time. By this time I guess people walking past saw us and came in and there were 4 other tables of people eating with us now. 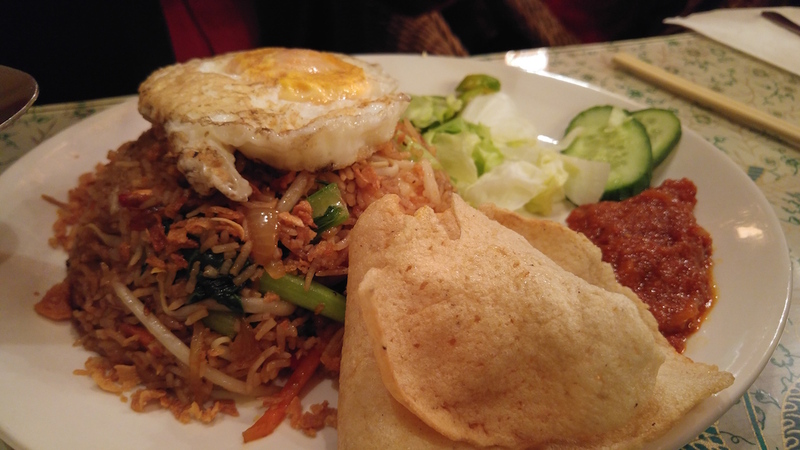 The nasi goreng was served with all the traditional accompaniments, prawn crackers, egg on top with a dollop of sambal on the side and again i Found it a very authentic dish. 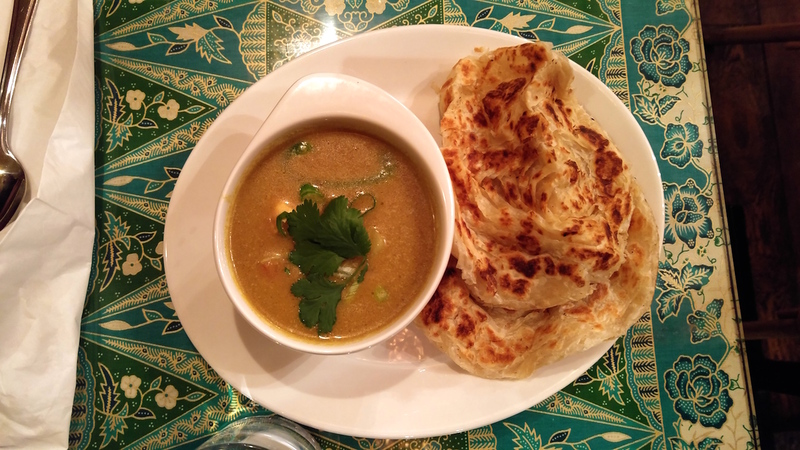 The roti canai, which is a traditional type of Indian-influenced flatbread found in Malaysia, Indonesia and Singapore, came with a chicken Kari and was very similar in appearance and taste to the beef kari. This again tasted great, a good level of spice and flavours. 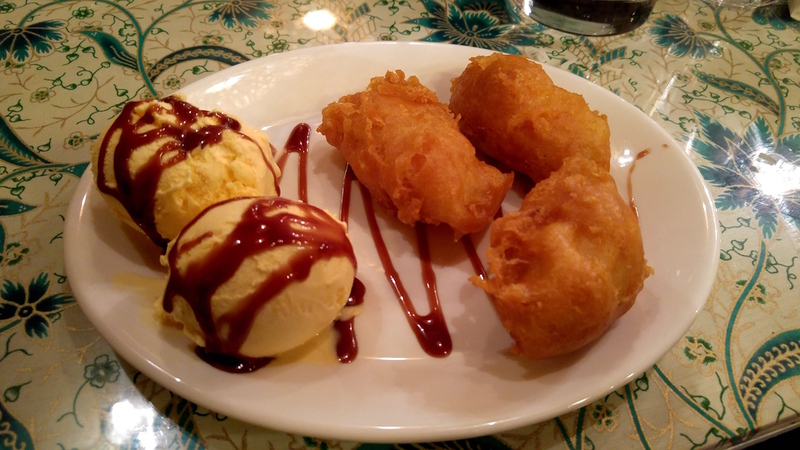 It was a very enjoyable meal overall, each dish was cooked really well and tasted great. There was only one member of service staff, so when the flow of people started the service slightly dropped, nothing major just the table was not cleared for 10mins. But the service is friendly and well had that local hospitality feel to it. The price came to under £50 for 4 people with drinks. I think Masak represents great value as the dishes are very well prices and great value for money. 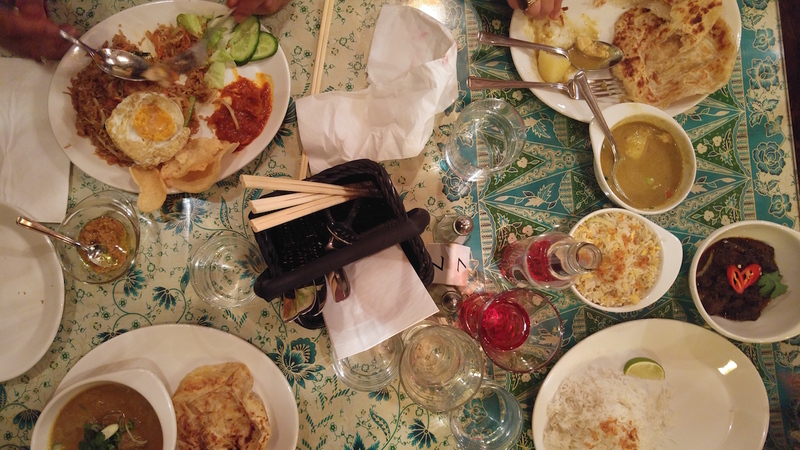 A very good and authentic tasting Malaysian restaurant. Oh, make sure wash your hands at the restroom, it’s one of nicest bathrooms i have seen in a restaurant! Hey Buddy!, I found this information for you: "Masak (closed)". Here is the website link: http://halalfoodguy.co.uk/masak/. Thank you.